Could your last mix CD's song order use some improvement? Allow beaTunes to re-arrange your playlist for you! Always wondered how you could take advantage of the BPM (beats per minute) field in iTunes? Let beaTunes fill in the blanks and help you while DJ'ing at your next party. Love to work out with your iPod? Create playlists with the right BPM specifically for cardio, aerobics or step. ...... No more Metallica labeled as pop, no more Mozart categorized as Top 50. And R.E.M. always spelled R.E.M., never REM, nor r.e.m. 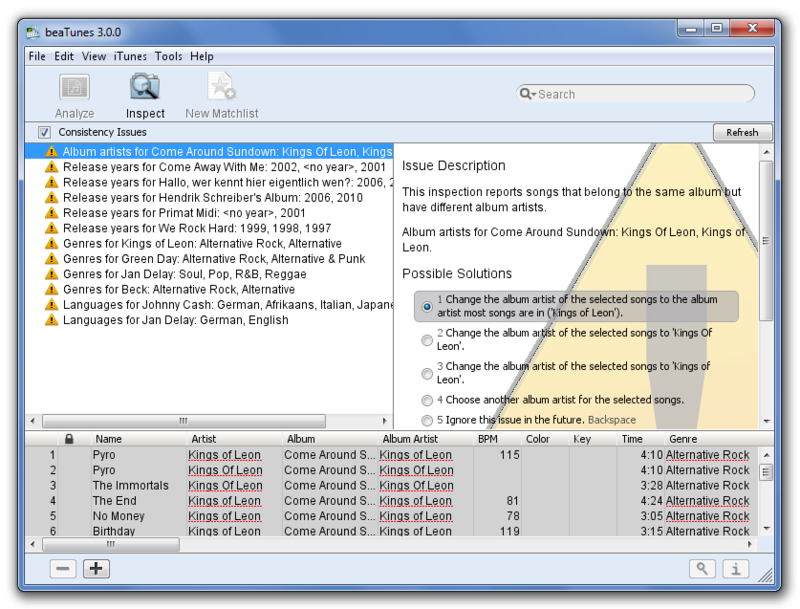 Qweas is providing links to BeaTunes 3.5.4 as a courtesy, and makes no representations regarding BeaTunes or any other applications or any information related thereto. Any questions, complaints or claims regarding this application BeaTunes 3.5.4 must be directed to the appropriate software vendor. You may click the publisher link of BeaTunes on the top of this page to get more details about the vendor.